The view of the Blue Ridge Mountains from Woody Gap. Just past Woody Gap is an old Forest Service road that leads to Black Mountain Tower. I’m leaving today for the Blue Ridge Mountains. My destination is a particularly rural area of northern Georgia, very near the start of the Appalachian Trail and only a short drive from the Chattooga River Gorge. I’ll head into the mountains after taking a turn just past a pile of stones that marks the grave of the Cherokee princess, Trahlyta, climbing the winding two-lane road toward Black Mountain. My first two books for Bold Strokes Books are set in this area. While writing those stories I reflected back on my time spent there in my youth. My grandparents’ place was 26 acres of woods, streams and hidden springs to explore. There’s a large, mostly flat, granite outcropping at the crest of the wooded ridge above their property. I’ve always felt that when I sit in that location any problem I’m trying to solve gets solved. Clarity descends in that spot for some reason. Maybe there’s some power vortex hovering above it. Or maybe the woods are haunted by my ancestors who linger and offer comfort. Who knows? But as a result, it’s one of my favorite places on the planet. When I’ve been away from it for too long I get homesick for it, like the loss of a loved one. A little over a year ago, I suggested to my father that it would be a great location for a studio. Feeling inspired by my suggestion, he built me the coolest studio, modeled after a 1940’s fire tower. 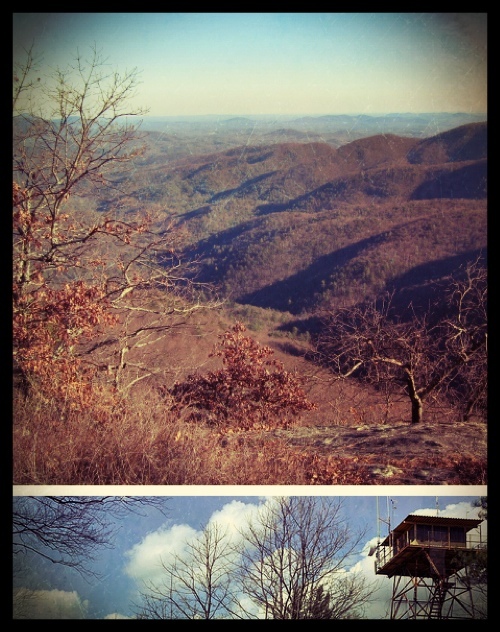 My tower is only a few miles from the Black Mountain fire tower, now abandoned, that I feature in my first two books. I think I’ll pay that tower a visit just to see how it’s fairing on its peak, overlooking the rolling Blue Ridge Mountains. So think of me next week, sitting in my tower, wearing a heavy sweater, making up stories. And have yourself a wonderful holiday season. 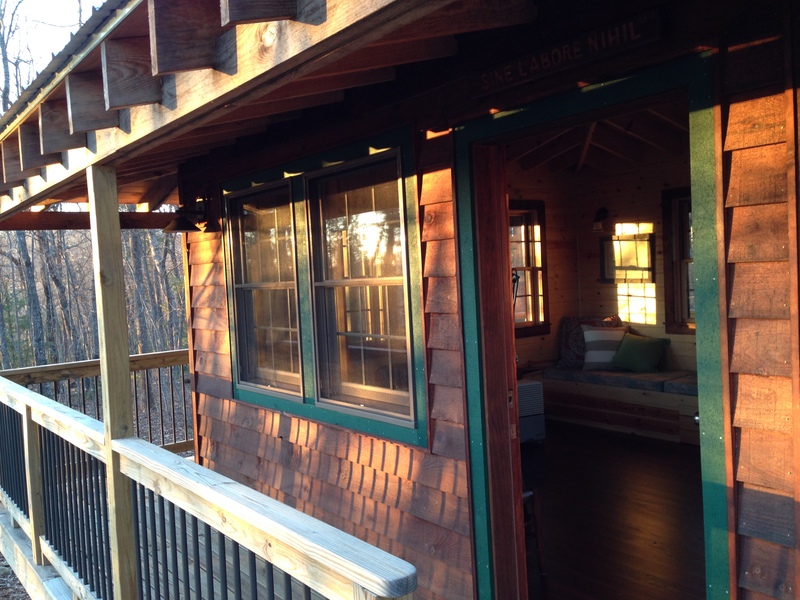 An interior shot of my writing studio, affectionately referred to as Rocky Top Tower.